This simple salad can be prepared in no more than 20 minutes but tastes like a million bucks! Whisk the olive oil with salt and pepper. 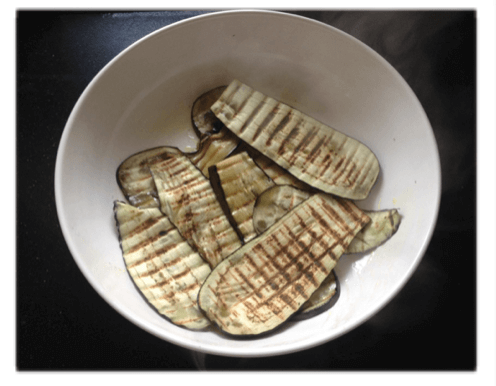 Bring a grill pan to high heat and grill the eggplant slices in batches. Place in a bowl and add the dressing. Sprinkle with the roasted pine nuts and basil.